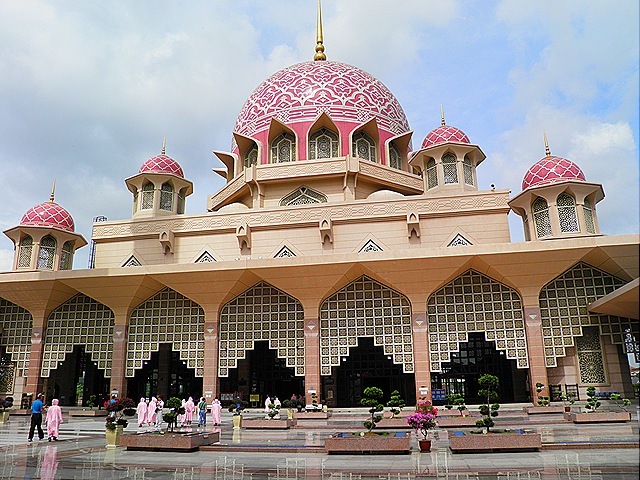 Putrajaya’s pink mosque – the Putra Mosque – is one of the city’s most famous landmarks and tourist attractions and I have driven and cycled past it on many occasions. Today I thought I would take a look inside. Non-Muslims are welcome to visit outside of prayer times provided they are suitably attired. 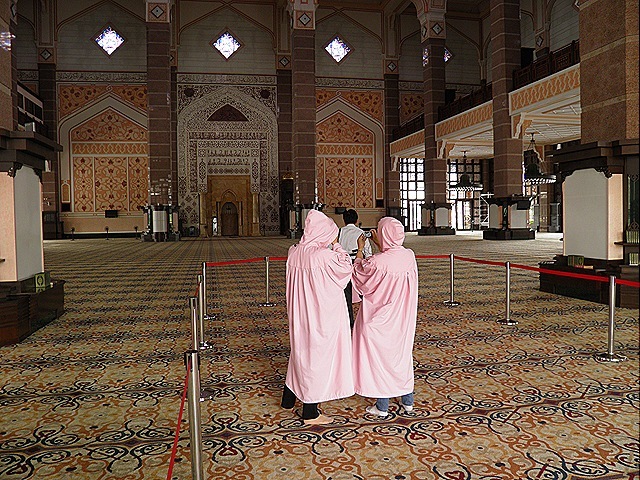 Female tourists are respectfully requested to proceed to the Robe Counter where they are kitted out with fetching pink robes. 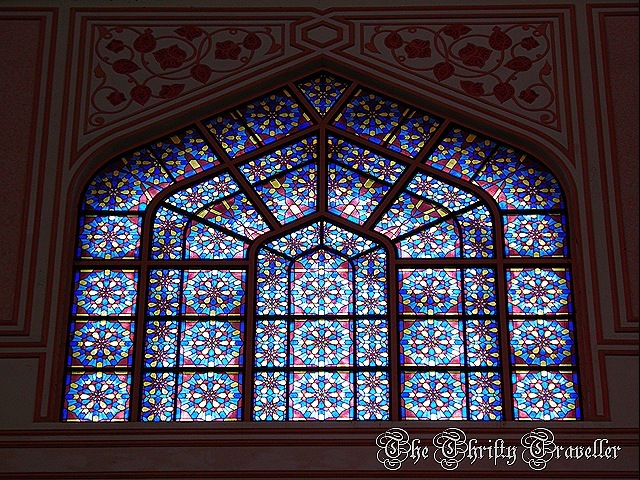 If anything, the vast interior of the massive mosque is even more impressive than the exterior. 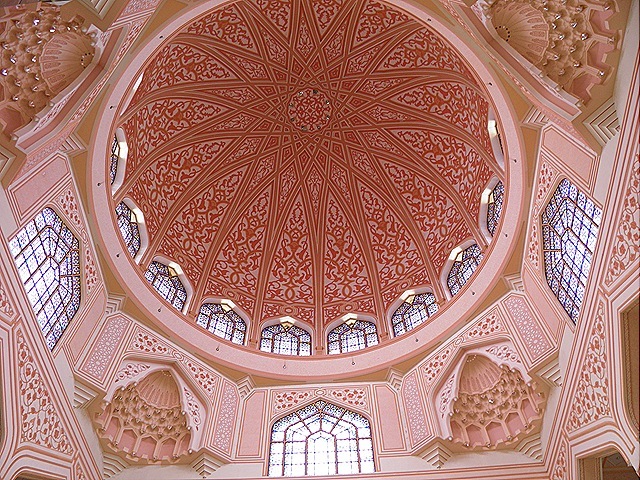 The inside of the dome is more beautiful than I expected. 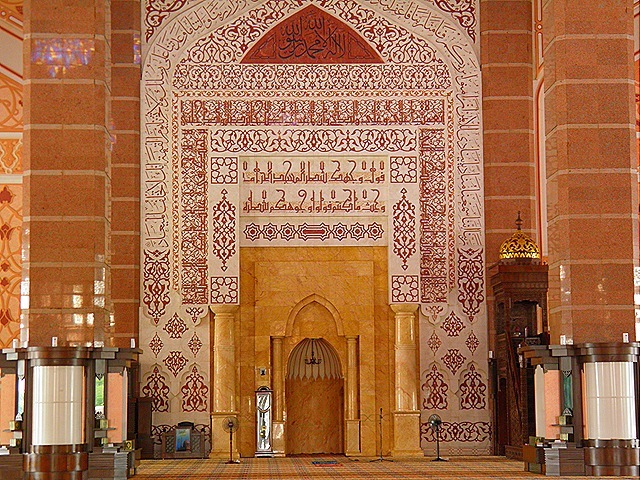 The qibla wall facing the entrance is ornately decorated with verses from the Quran engraved on sumptuous marble. Given the growth of Islam in the West over recent years, and with 25 years still to go, his prophesy could prove to be more accurate than anybody could have imagined in 1936.